HUNTINGTON, W.Va. -- The Marshall University Visiting Writers Series will present a centennial celebration of the late West Virginia Poet Laureate Louise McNeill on Monday, April 4. The celebration will feature noted area poets Mark DeFoe, Marianne Worthington, Devon McNamara and Chris Green. They will present a panel on the life and work of McNeill at 3:30 p.m. and a tribute poetry reading at 7:30 p.m. Both events will take place in the Shawkey Room of the Memorial Student Center on MU's Huntington campus. Until her death in 1993, McNeill was West Virginia Poet Laureate for 16 years. Her work was widely published in national magazines like Atlantic Monthly and Saturday Review during her lifetime. Hill Daughter, her selected poems, was published by the University of Pittsburgh Press in 1991, and her poems continue to be anthologized. A new edition of her seminal work, Paradox Hill, was published by West Virginia University Press in 2009. DeFoe is the author of nine chapbooks of poems. His work has appeared in many journals and anthologies. He has conducted workshops for writers of all ages and has read his work at colleges, libraries and art centers. DeFoe has received two Artists Fellowships from the state of West Virginia. He isprofessor emeritus at West Virginia Wesleyan University. McNamara's poems, essays and reviews have appeared widely in literary journals. Her new poetry collection is forthcoming from Salmon Poetry of Ireland. She is the recipient of a fellowship from the Ohio Arts Council and from the Yaddo Arts Community. She has conducted writing workshops throughout West Virginia and has served on the Governor's Task Force on Arts in Education. She is Professor of English, Irish Literature, and Creative Writing at West Virginia Wesleyan University. Green, a poet and scholar, is the author of Rushlight, a new collection of poems. He co-edited Coal: A Poetry Anthology and recently published a major historical study of race and social justice in Appalachian writing, The Social Life of Poetry (Palgrave Macmillan). He teaches writing and literature in Marshall University's English department. Worthington is the author of Larger Bodies Than Mine, which was chosen for the New Women's Voices Series and received the 2007 Appalachian Book of the Year Award in Poetry. She has published both poems and non-fiction in a variety of literary and scholarly journals. She is an associateprofessor of Communication Arts and Journalism at the University of the Cumberlands in Williamsburg, Ky. The panel and reading are free and open to the public. The Visiting Writers Series is supported by the Marshall English Department, the College of Liberal Arts and the West Virginia Humanities Council. For more information, contact Art Stringer in Marshall's English Department at 304-696-2403 304-696-2403 . As you may have seen in our online e-newsletters, the Stonewood Kid (a.k.a. T.W. McNemar) is wanted for the crime of 1st Degree Boasting about his own writing skill. He's thrown down a challenge to anyone on the fence about entering the 2011 Writing Contest. The Stonewood Kid will be entering three pieces of writing in the TOPIC: WAR category of the contest and if he wins with even one of them, he will have boasting rights for the coming year. However, if he does not win anything in that category, any of the cash prize winners who are present at the conference will not only get bragging rights, but will also receive a delicious prize pack. The prize pack will include an autographed wanted poster, a WVW Prize Pack, and a special dessert from world famous Bonnie Belles Pastries of NutterFort, WV. All you have to do is enter TOPIC: WAR and come to the conference for your shot at glory and pastry. To enter, just fill out the entry form on the WVW Contest Page and send it in. Friday Evening Kickoff and Reception March 18. 2011 7:00 p.m.
Friday Evening, March 18, 7:00 p.m.
Keynote Address with guest writer Mary Calhoun Brown, award-winning author of There Are No Words. Her talk, "Inspired by Dr. Seuss," will address the important role of authors, songwriters and artists as a voice of positive change in the world, and how to use your work to create change in classrooms and beyond. Saturday, March 19, 9:00 a.m. to 3:00 p.m. Writers' Toolkit will have two sessions of two-hour concurrent classes. For more information, call (304) 558-0220, or to see short bios and class descriptions, visit the Division's Web site at www.wvculture.org. The Culture Center can be reached by traveling on Interstate 64/77. Take exit 99 (Greenbrier Street, State Capitol) down the hill. The Capitol Complex entrance is on the corner of Greenbrier and Washington streets. Parkersburg News & Sentinel has an article about author Marc Harshman visiting an area school. Read it for yourself HERE. The Beckley Register Herald published an article about WV Writers' own Dwight Harshbarger speaking at Mountain State University, recently. Registration for the WVW 2011 Summer Conference is now open. Check out the details for it at our CONFERENCE page. CHARLESTON, W.Va. -- Nitro High School Junior Bruce McCuskey talks about competing in poetry recitation with as much strategy as a basketball player who has reviewed game films. The 17-year-old made the final five in last year's Poetry Out Loud: National Recitation Contest. This year, he hopes to make it all the way to the top. To do that, he has analyzed his performance last year - and yes, there is a "game tape," so to speak. "I watched the video from last year and my hands were shaking so badly I don't think I could have held a microphone if I had to," McCuskey said. If anything, he believes he may have more jitters this year. To prepare his recitation of three poems, McCuskey has worked closely with his coach - in this case English teacher Trent Danowski, who has helped him "finesse" his recitation. Game day, er, Friday afternoon, he joins 21 other West Virginia high school students for the semifinal round of the competition, hosted by the state Division of Culture and History and the state Commission on the Arts. Ten contestants will return Saturday for the finals. Beckley native and Hollywood actor Chris Sarandon will emcee the final round and Virginia jazz band The Greg Howard Quartet will perform. All in all, the free event is as entertaining as it is educational, said Jeff Pierson, director of art for the state Division of Culture and History and one of the organizers of the event. "What we've done with bringing in special guests is we've tried to bring in a public audience," Pierson said. "People who have been here before really do enjoy the poetry. These kids are amazing." "We've been really fortunate to have so many talented people involved," Pierson added. Sarandon, who is returning for his fourth year as emcee, has promised he will continue to do it as long as his schedule allows. "He loves West Virginia," Pierson said. Sarandon is best known for roles in "The Princess Bride," "Fright Night," and "The Nightmare Before Christmas." He was nominated for an Academy Award for his supporting role in "Dog Day Afternoon." He also is the ex-husband of actress Susan Sarandon. The Poetry Out Loud program began in 2005 to help bring poetry back into the curriculum at high schools. The National Endowment for the Arts and the Poetry Foundation sponsor Poetry Out Loud. The NEA provides an anthology of poetry students must use for the competition. "West Virginia has been a real poster child for this program," Pierson said. "Our finalists have done well in Washington, D.C., and the nationals. One in particular made it to the top 12 in the country." McCuskey would love to count himself among the elite in poetry recitation. 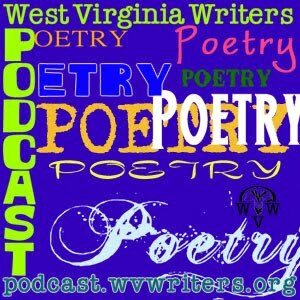 West Virginia Writers, Inc., will open the registration for the 2011 Summer Conference on Monday, March 7, 2011 at our website. Conference registration forms for both the WVW Conference itself and for lodging and meals at Cedar Lakes Conference Center. We will also post our 2011 Conference Flyer with a preview of the presenters and entertainment being featured this summer. The 2011 Summer Conference will take place June 10, 11, and 12 at Cedar Lakes in Ripley, WV. We will post workshop descriptions and presenter bios within the next few weeks. Please do note that West Virginia Writers is not in charge room or meal reservations. Those will have to be done separately by registering for them with Cedar Lakes, or by finding other lodging in the area. The West Virginia Division of Culture and History in collaboration with the West Virginia Library Commission will present an intensive creative writing skills workshop on Saturday, March 19, from 9 a.m. - 3 p.m., at the Culture Center, State Capitol Complex in Charleston. The conference, Writers’ Toolkit, will kickoff with a keynote address by featured guest writer Mary Calhoun Brown of Huntington on Friday evening, March 18, at 7 p.m. Her talk, Inspired by Dr. Seuss, will be followed by a reception in the Great Hall. The Friday and Saturday programs are free and open to the public. Brown’s keynote talk will address the important role authors, songwriters and artists have as a voice for positive change in the world. She will illustrate how she uses her work to create change in classrooms and beyond. Brown also will discuss how writers can achieve that extra punch that can turn their words into a useful tool for educators and an award-winning book. The address will be followed by a question-and answer session. The Writers’ Toolkit workshop will have two sessions of two-hour workshops: 10 a.m. - noon, and 1 - 3 p.m. Each session will feature several concurrent classes. The morning options include “Creative Writing: A Sensory Approach for Teachers, Students and Young Writers” with Brown; “Journalism Class” with Paul Nyden of Charleston; “Taking Off the Training Wheels” with Sherrell Wigal of Parkersburg; and “Writing Speculation Fiction Part One” with Michael Knost of Logan. Brown will lead participants through a series of writing prompts to help them improve their writing skills. She uses a unique combination of humor and sensory awareness to bring out the best in young writers. She will encourage everyone to share portions of their in-session work and provide prizes for outstanding ideas and vocabulary. Nyden will discuss the people skills necessary to get the best story. He will talk about the value of statistical information and how it is enhanced when you talk to people who give a human face to those statistics. He also will provide copies of a 1993 investigative series he wrote for the Charleston Gazette on coal contracting for which he received the George Polk Award for business reporting. Wigal will emphasize tips, techniques and tricks to put the writer into an open and receptive mind-set. Participants will take part in hands-on writing exercises designed to free them from the fear presented by the blank page. The workshop is open to all ages and skill levels, and will end with a question-and-answer period. Knost’s class will be the first of a two-part lesson plan that will serve any genre writer, especially those seeking to write science fiction, fantasy, horror, or supernatural thrillers. This workshop will provide a detailed study of what a story is and the necessary components of plot. Afternoon workshops will offer “Creative Writing: Using Technology and Other Strategies to Enrich the Writing Process” with Brown; “Songwriting” with Kodac Harrison of Atlanta, Ga.; and “Writing Speculation Fiction Part Two” with Knost. Brown’s workshop will help participants enrich their writing using both high- and low-tech methods and simple strategies. She will discuss how to end writers’ block, how to navigate changes in the publishing business and answer specific questions about the writing process. Brown also will talk about the benefits of Facebook, Twitter and YouTube as tools to market your work and increase sales. Harrison will cover all aspects of being a songwriter from what it means to be a songwriter, the elements of a good song, what to do with a song once you’ve written it, and how a songwriter makes money. Participants will analyze several types of songs. The second part of Knost’s lesson plan will focus on how the writer can successfully suspend the reader’s disbelief with speculative nature of story or plot. Brown is an award-winning author and speaker who started her writing career at the age of five when she “figured out that letters made words,” she says. She’s been creating stories ever since. Her most recent novel, There Are No Words is the recipient of 10 awards, including the Moonbeam Children’s Book Award, Eric Hoffer Award, International Book Award, Mom’s Choice Award, and USA Book Award. Brown advocates for children and adults with autism and serves on the board of the Autism Services Center. She stands firm on her soap box in classrooms and at conferences, encouraging kindness and an end to bullying. Harrison is a long time Atlanta singer/songwriter and acoustic guitar player. He has released 15 recordings of original music and the spoken word in the last 30 years. Harrison is involved in the Atlanta poetry community as chairman of the non-profit Poetry Atlanta, and hosts the weekly “Java Monkey Speaks” poetry reading. In 2008, he produced and performed in a theatrical presentation of his music and spoken word at 7 Stages theater. In 2010 he held the McEver Chair in Poetry at Georgia Tech. Harrison has been named Atlanta’s best spoken word artist four times in Atlanta’s “Creative Loafing” and Atlanta’s best poet three times. Knost is a Bram Stoker award-winning author, editor, and columnist of science fiction, fantasy, horror, and supernatural thrillers. His Writers Workshop of Horror recently won the Black Quill and Bram Stoker awards for superior achievement in nonfiction. He served as ghostwriter for several projects, including work with the Discovery Channel and Lionsgate Media. He is writing a Mothman novel slated for release in 2011. Nyden has been a reporter for the Charleston Gazette since June 1982, covering political, environmental, labor and foreign policy issues. He also has written extensively about the late Sen. Robert C. Byrd. Since 1994, he has taught courses in sociology and labor history at West Virginia University Institute of Technology. Between 1979 and 1982, he did research projects for federal agencies, including the National Park Service. In addition to the George Polk Award, Nyden has won three first-place national awards from the Society of Professional Journalists and Investigative Reporters and Editors. A West Virginia native, Wigal focuses her writing primarily upon poetry and short fiction. She has been featured at events throughout West Virginia and the Appalachian region, both as a performer of her original poetry and as a workshop leader. Wigal is dedicated to helping writers establish their own voices in writing and to be confident in the creation and presentation of their work. Wigal is planning a creative writing workshop which she will conduct in Venice, Italy this fall. Participants should bring pens, pencils and writing tablets. They also are welcome to bring a bag lunch to eat from noon - 1 p.m., or visit one of several eateries available within one block of the Culture Center. For more information about the Writers’ Toolkit workshop, contact Caryn Gresham, deputy commissioner for the Division, at (304) 558-0220. Charles Town, MD, March 04, 2011 --(PR.com)-- The Common Ground International Book Fest 2011, The Eastern Panhandle, WV Birth of Freedom Heritage Tour, and The WV NAACP Higher Education Summit 2011 will be held concurrently during the Friday, March 4th through Sunday, March 6th Weekend. “We are one nation with many great heritages. The self-determination of every American is what we want to celebrate, the spirit of individuals overcoming personal and any perceived group barriers to achieve their fullest human potential,” intimates Dr. Pamela Sanders Ellis, President of Harambee Conference, LLC., an organizer for the event. Everyone throughout West Virginia and elsewhere may attend the Book Fest free of charge through sponsorships by community-based supporters of the events. The opening dinner reception will be held at the Inn in Charles Town, WV. Featured presenters during the weekend include Professor Angelia Russell from WVU Tech Department of Management, Dr. Sandra Staton-Taiwo, a W.E.B. Du Bois Dissertation Scholar and Dr. Beth G. Raps of Berkeley Springs, WV. Featured authors include Joan Jai from Durham, NC. Mrs. Jai’s book entitled, It’s in the Book will be performed by West Virginia area students at 1:00 PM on Saturday at the Shepherd University Wellness Center. Other scheduled presenters include Ms. Ilene Evans, Co-Founder of Voices from the Earth, Inc. who will portray Harriet Tubman during a breakfast before the Book Fest, Daryl S. Dudley, an entrepreneur from Washington, D.C., and Authors Tod M. Ewing and Bob O’Connor. For further event information, visit the website, www.harambeeconference.com. The March Meeting of the Appalachian Pen Works Writers' Group. The time has arrived for the March meeting of our fine Appalachian Pen Works Writers' Group and all of you roundtable members are invited to attend and participate. It will be at 6:30pm in the Princeton Public Library in the downstairs meeting room. Come on by and read and critique.